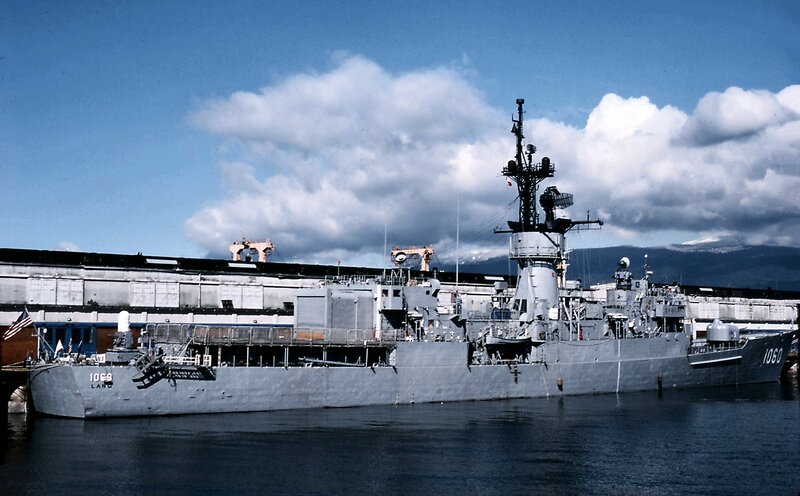 25 March 1967: Keel laid by the Todd Shipyard Corp., San Pedro, Calif.
17 January 2001: Scrapping contract awarded to Ship Dismantlement and Recycling, Inc., San Francisco, Cal. 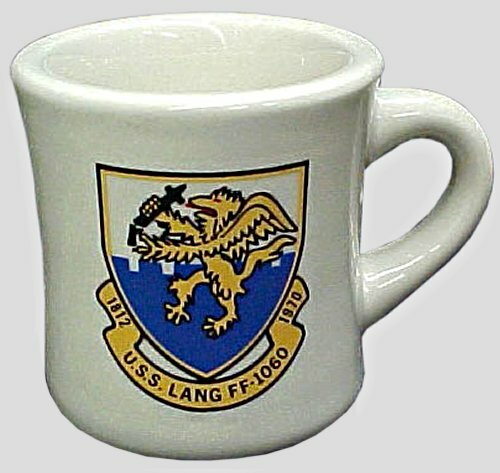 for 3.3 million dollars. 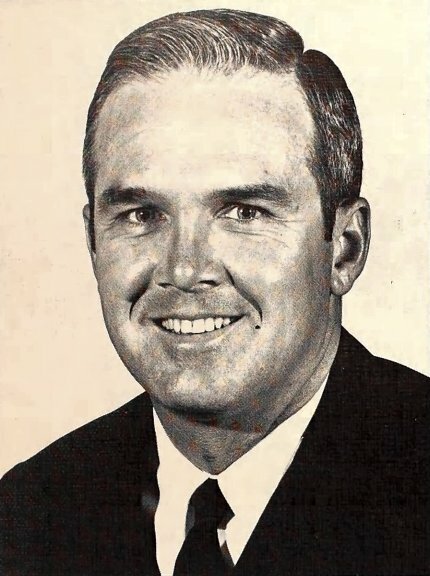 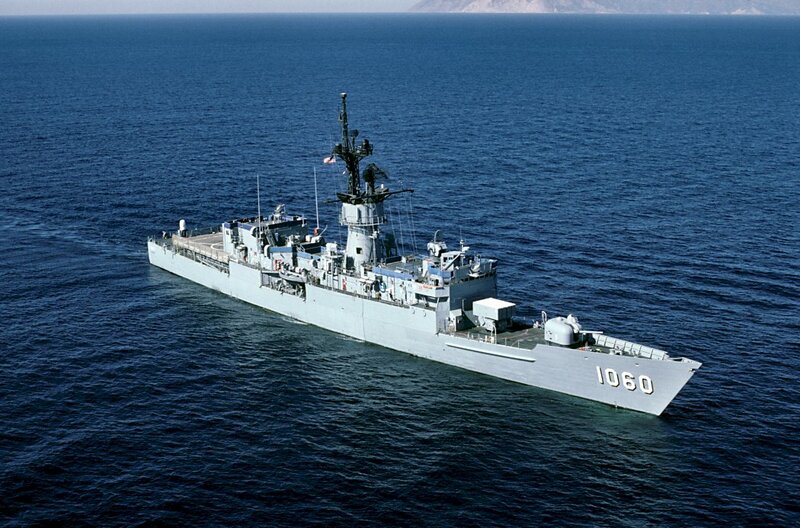 246k 28 March 1970: Long Beach, Cal. 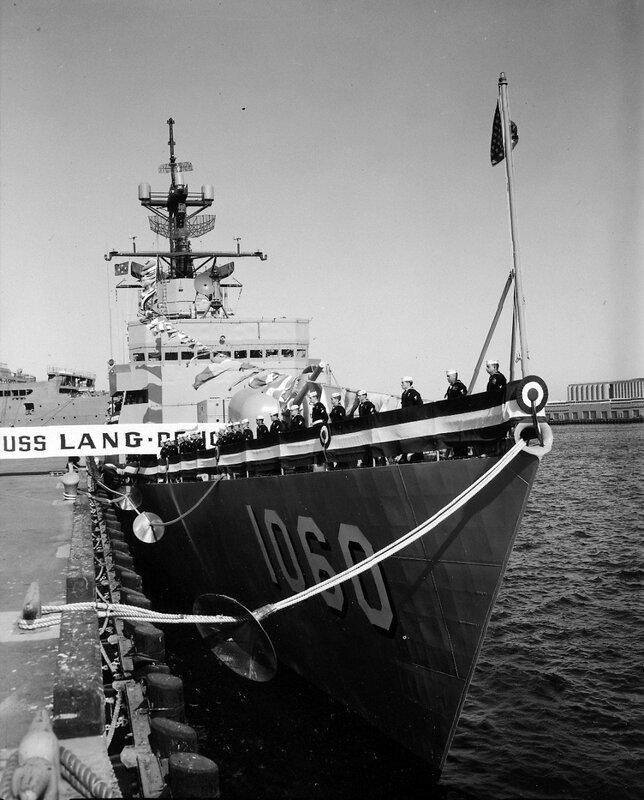 - Photo showing the commissioning of USS Lang (DE 1060). 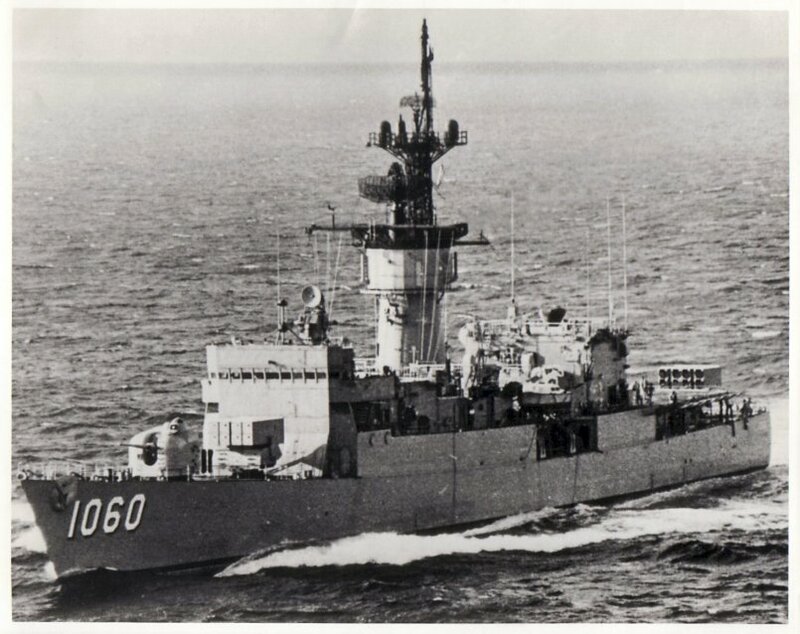 167k 01 October 1985: At sea - An aerial port beam view of Lang underway. 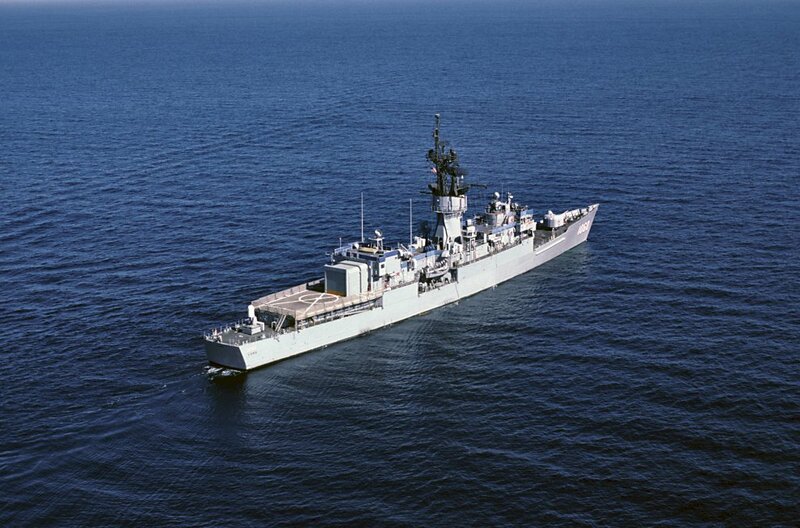 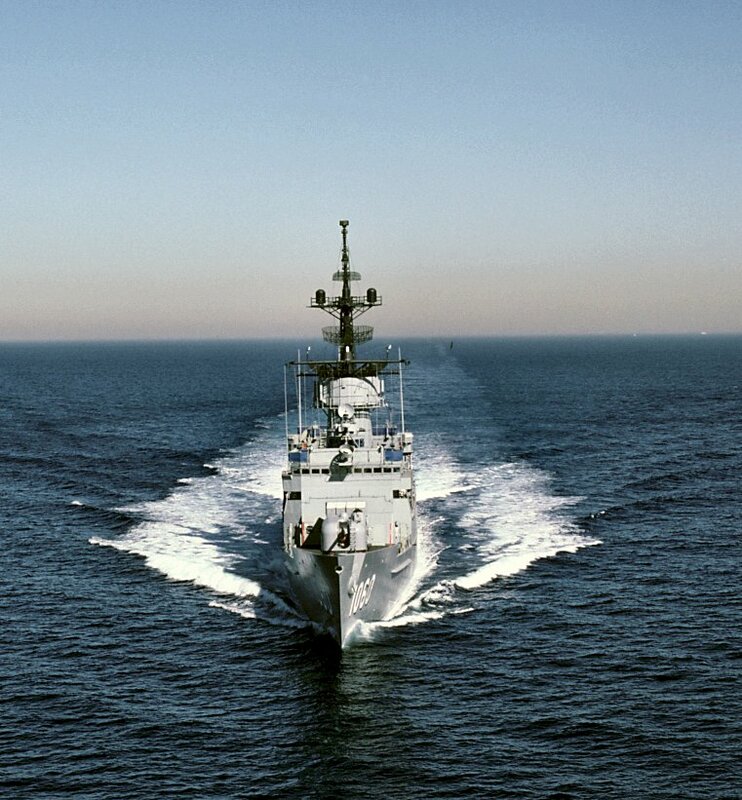 199k 01 October 1985: At sea - An aerial starboard bow view of Lang underway. 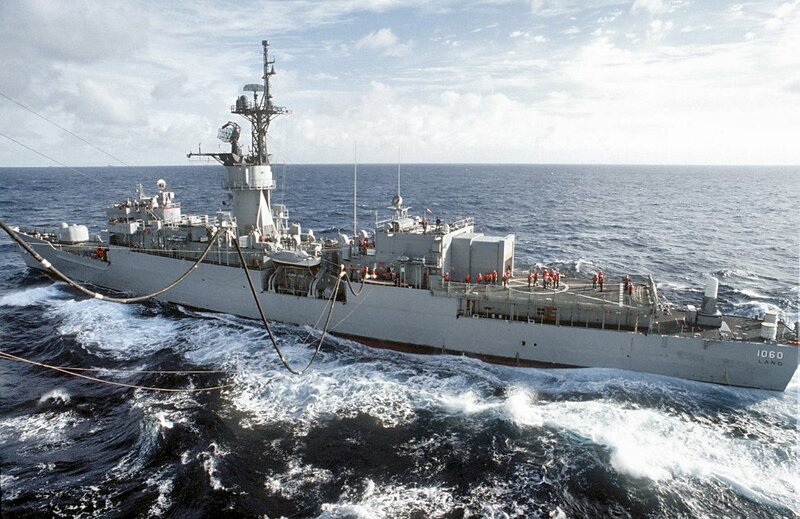 145k 01 October 1985: At sea - An aerial bow view of Lang underway. 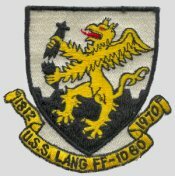 197k 01 October 1985: At sea - An aerial high angle port quarter view of Lang underway. 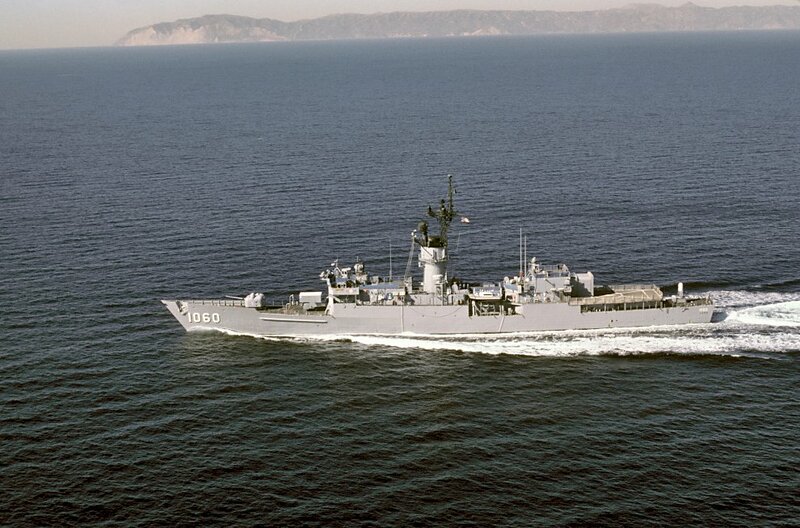 157k 01 October 1985: At sea - An aerial starboard quarter view of Lang underway. 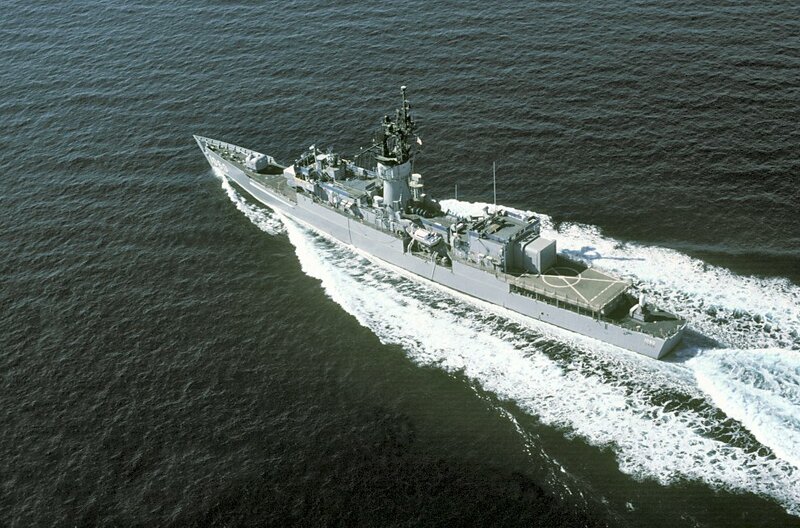 190k 01 October 1985: At sea - An aerial stern view of Lang underway. 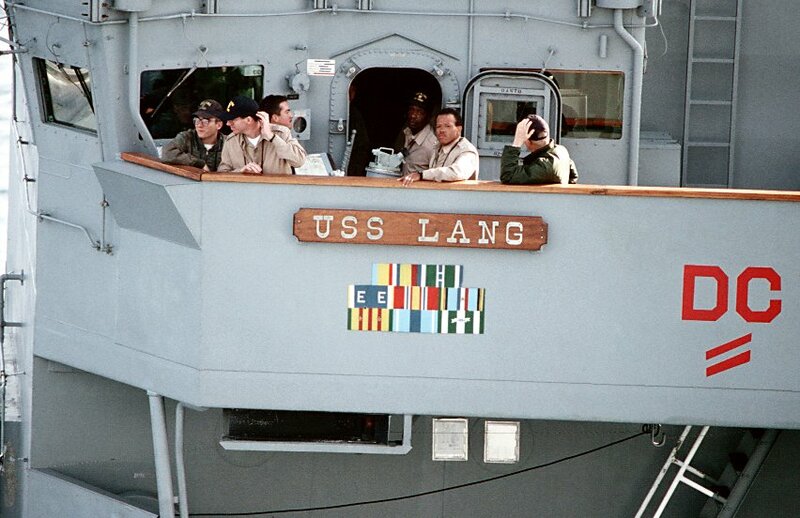 370k 1988: Lang moored pierside in an unidentified port. 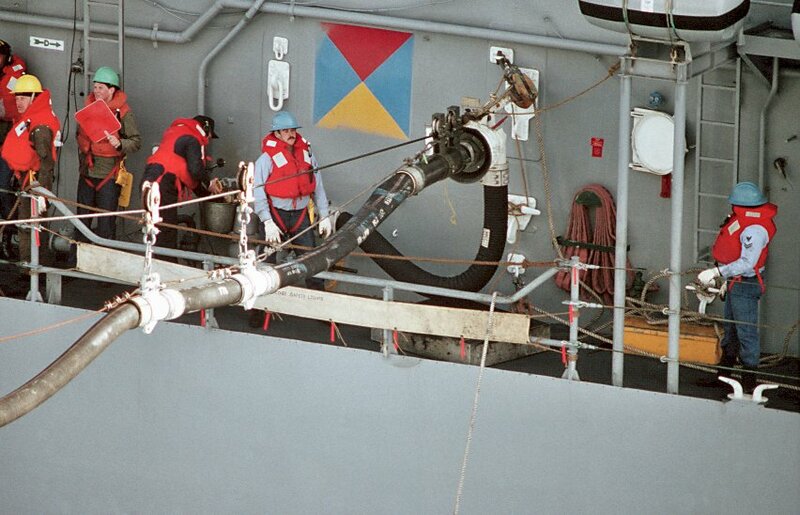 136k 01 September 1989: At sea - Crew members aboard Lang stand by a refueling line as Lang conducts underway replenishment operations with the amphibious assault ship USS Peleliu (LHA 5) during PACEX '89. 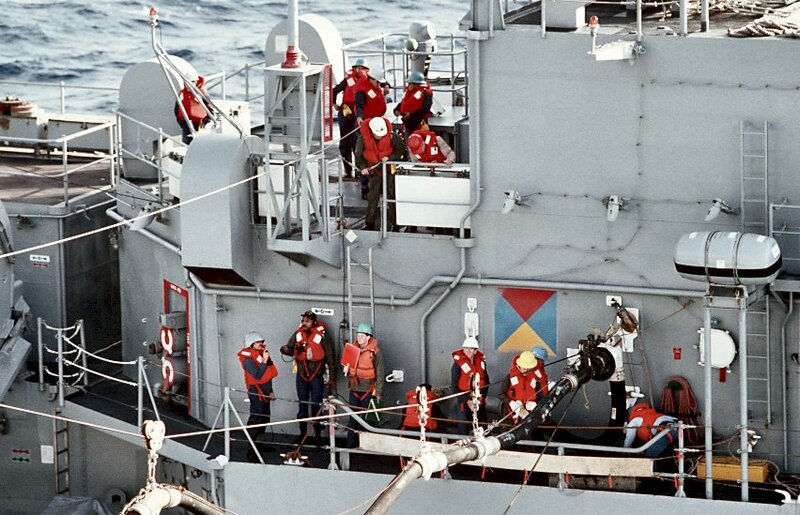 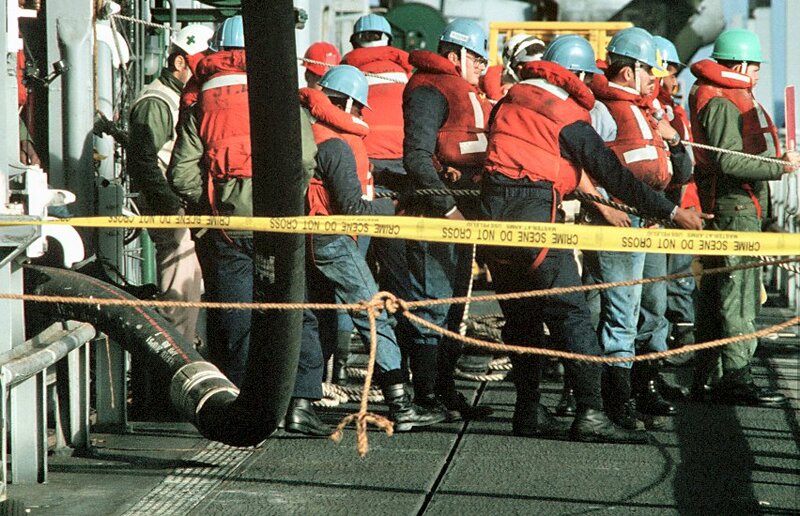 165k 01 September 1989: At sea - Lang crew members aboard set up a manila rig to secure a refueling cable during underway replenishment operations between Lang and Peleliu (LHA 5) during PACEX '89. 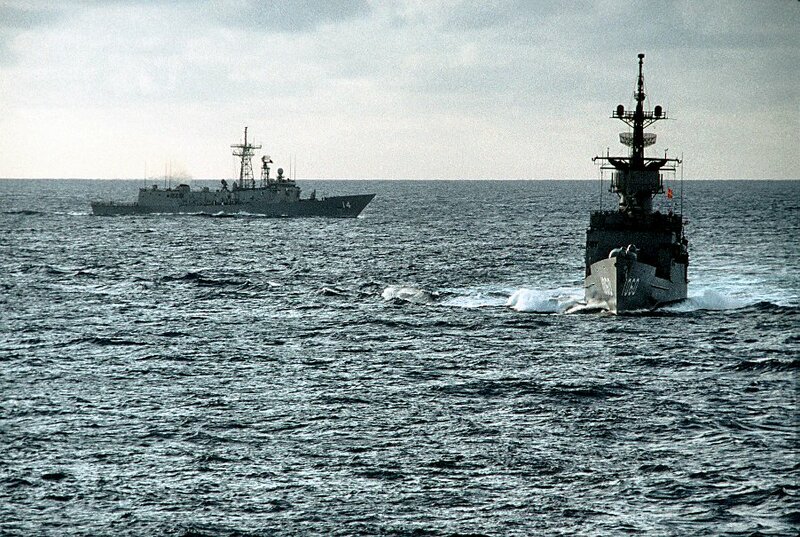 229k 01 October 1989: At sea - The guided missile frigate USS Sides (FFG 14), left, and Lang maneuver during Pac Ex '89. 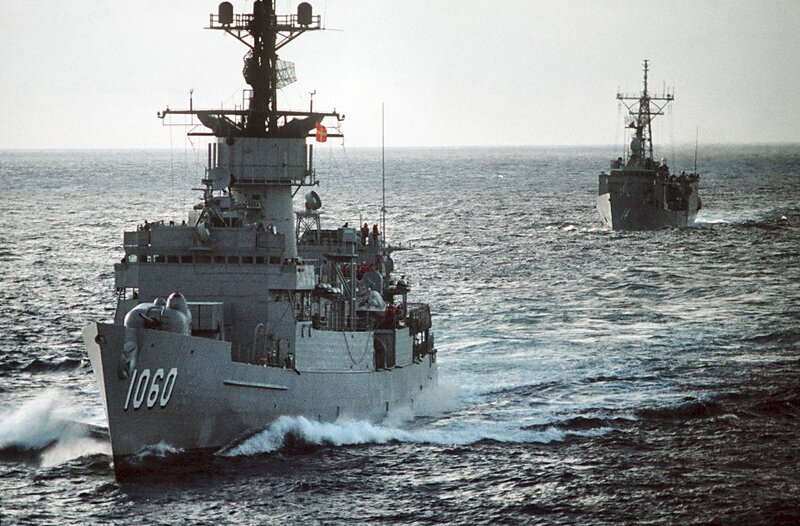 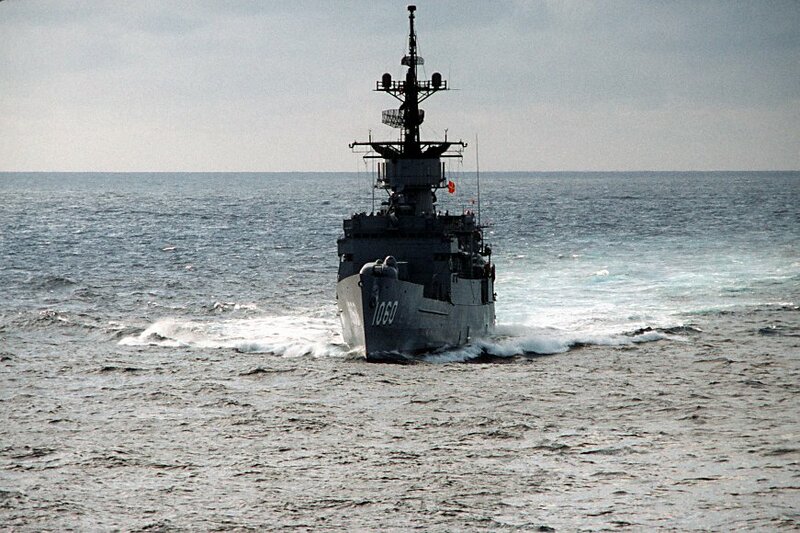 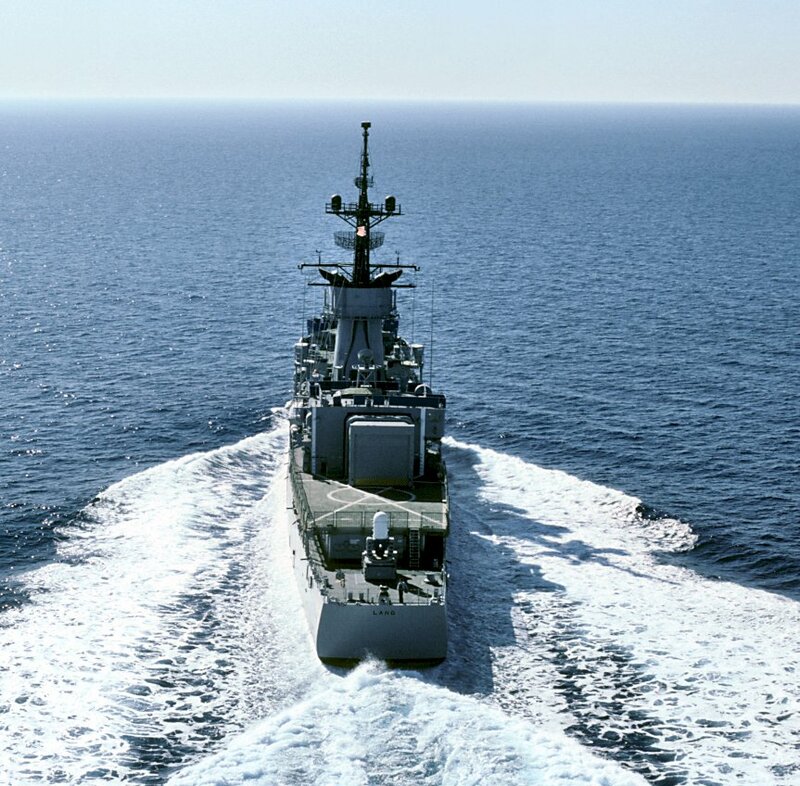 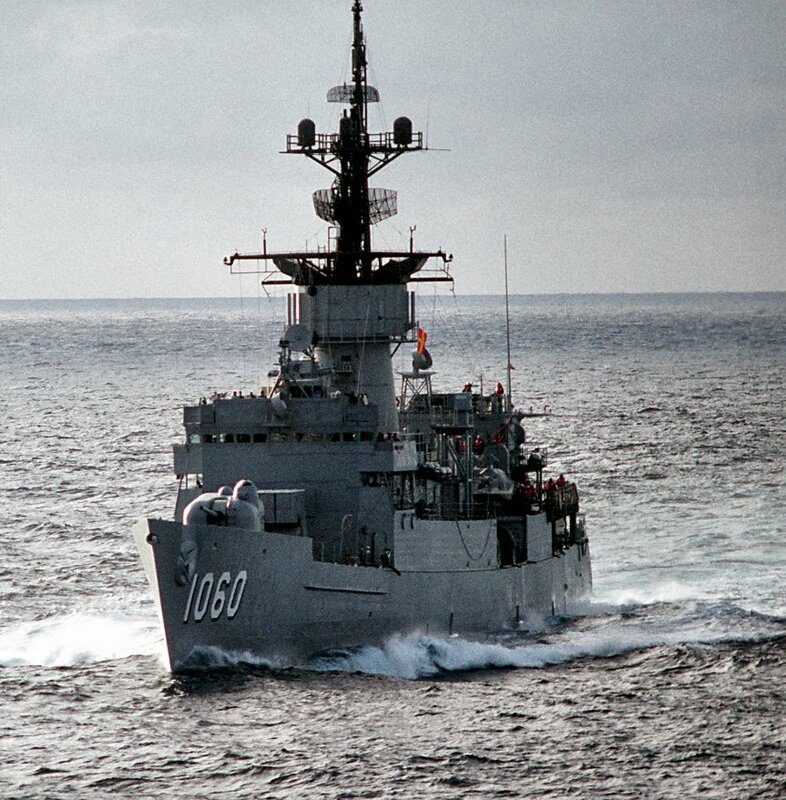 Both ships are part of the Naval Reserve Force Pacific Fleet. 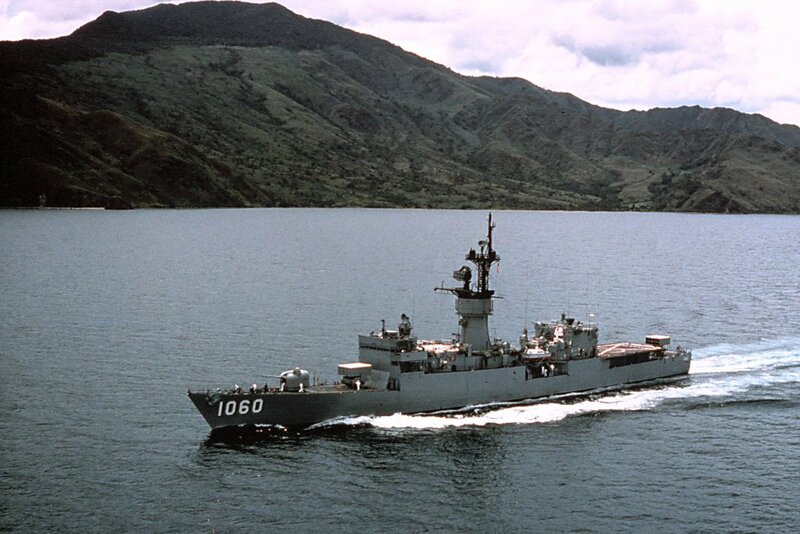 139k 04 September 1990: At sea off Subic Bay- A port view of Lang underway. 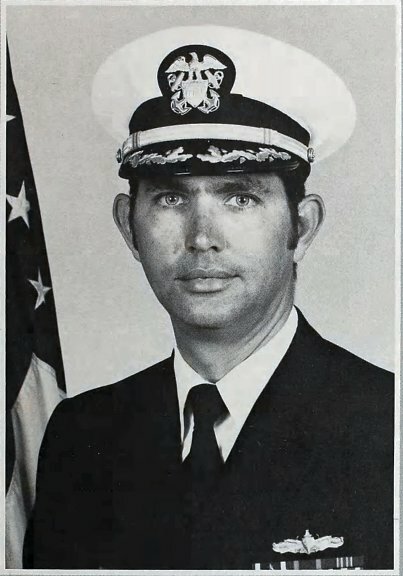 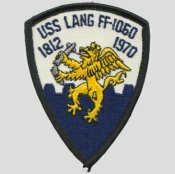 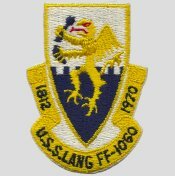 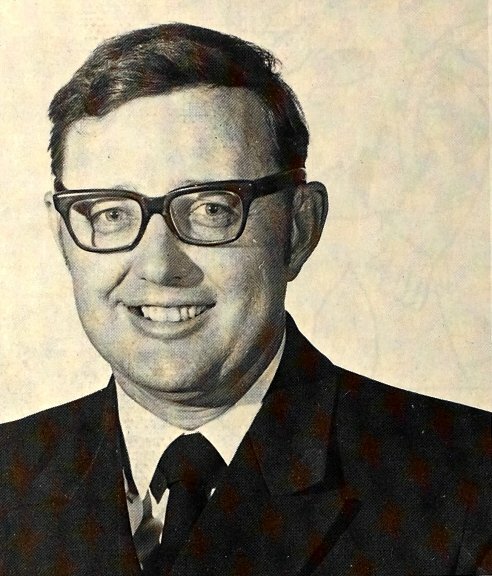 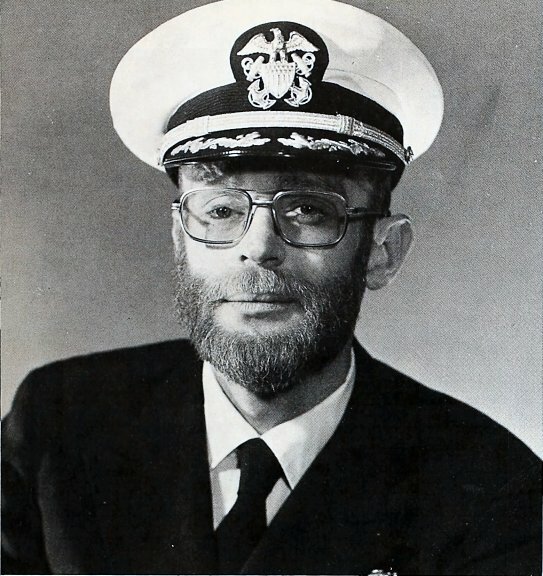 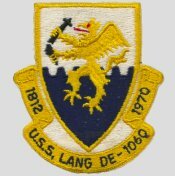 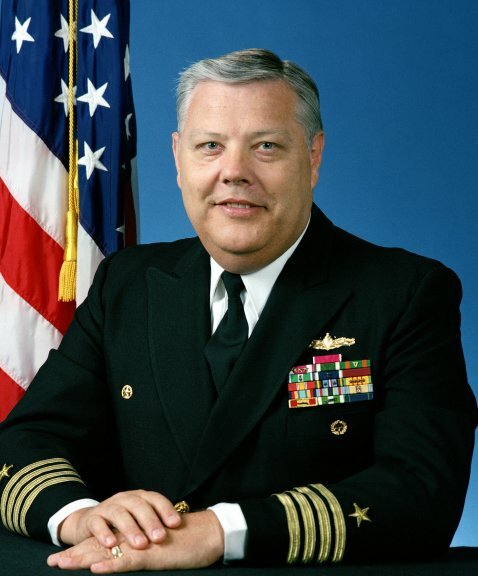 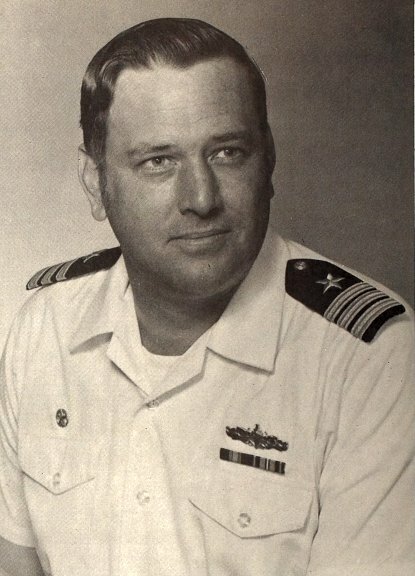 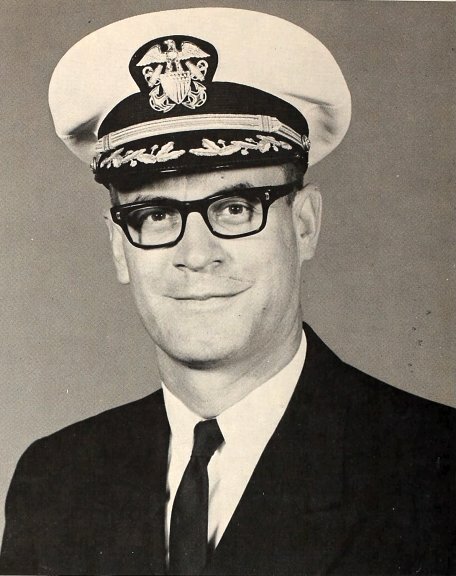 View the USS Lang (DE 1060) DANFS history entry located on the Naval History and Heritage Command web site.